WW 2 US Army 101st Airborne Division Patch & Tab Inv# X144. This is for the item stated in the title and pictured. Please use image super sizer for the best view. 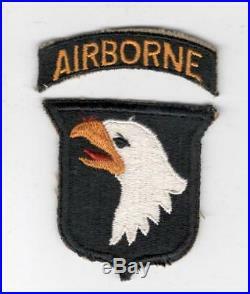 The item "WW 2 US Army 101st Airborne Division Patch & Tab Inv# X144" is in sale since Friday, August 10, 2018. This item is in the category "Collectibles\Militaria\WW II (1939-45)\Original Period Items\United States\Patches". 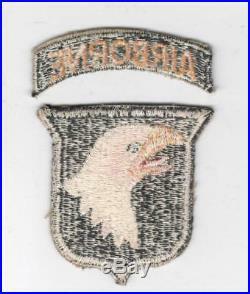 The seller is "worldwarpatches" and is located in Sierra Vista, Arizona.